The successful format of the Guitars Alive annual concert was established with Guitars Alive I, which took place on March 27, 2003. The first half featured a progression of guitar ensembles, starting with elementary school groups, moving to Junior and Senior high school groups, then college and ending with university level soloists and groups. After intermission, Guitars Alive showed what all this could lead to by presenting a professional headliner. Guitars Alive I began with the MacLeod Public School Guitar Ensemble under the direction of Paul Dunn. Then, the Sudbury Secondary Junior Guitar Ensemble took the stage, followed by the Sudbury Secondary Intermediate Guitar Quartet and the Sudbury Secondary Senior Guitar Ensemble, all under the direction of Gary DiSalle. Then it was the Cambrian College Guitar Trio and the Cambrian College Guitar Ensemble, both under the direction of Philip Candelaria. The first half concluded with a classical guitar soloist from the Laurentian University Music Program, Allan Yzereef, who was studying with Philip Candelaria, followed by Greg Miller, a Laurentian University Jazz program soloist, studying with Ben Rinaldo. 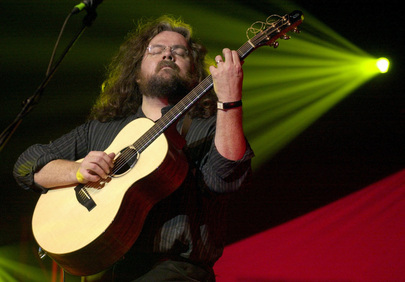 After intermission, Guitars Alive presented the internationally renowned acoustic guitar soloist Don Ross. This amazing soloist entertained with vibrant, rhythmic original music, and with humorous banter told between numbers while tuning up the guitar for the next piece. The very first Guitars Alive concert was a big hit with the audience and this encouraged the producers: Philip Candelaria, Paul Dunn and Gary DiSalle to promise another Guitars Alive for 2004.